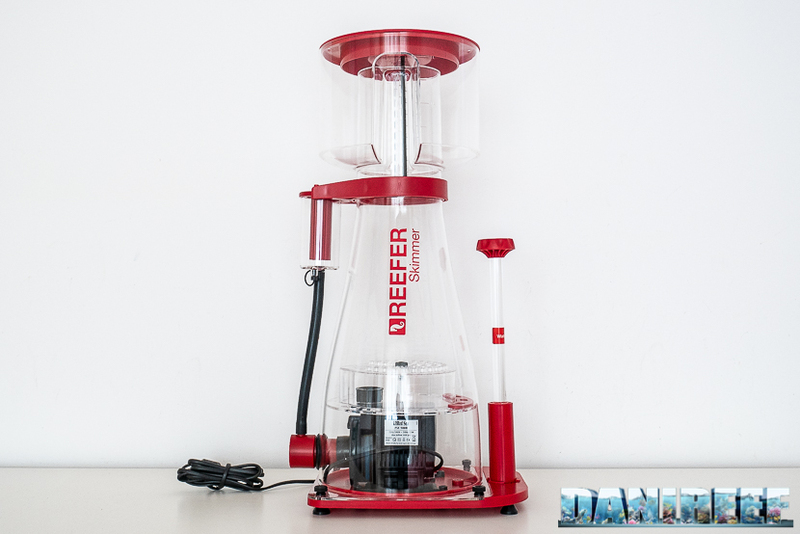 After we met at the Interzoo, Red Sea contacted me to send the new Red Sea Reefer Skimmer RSK600 to try. 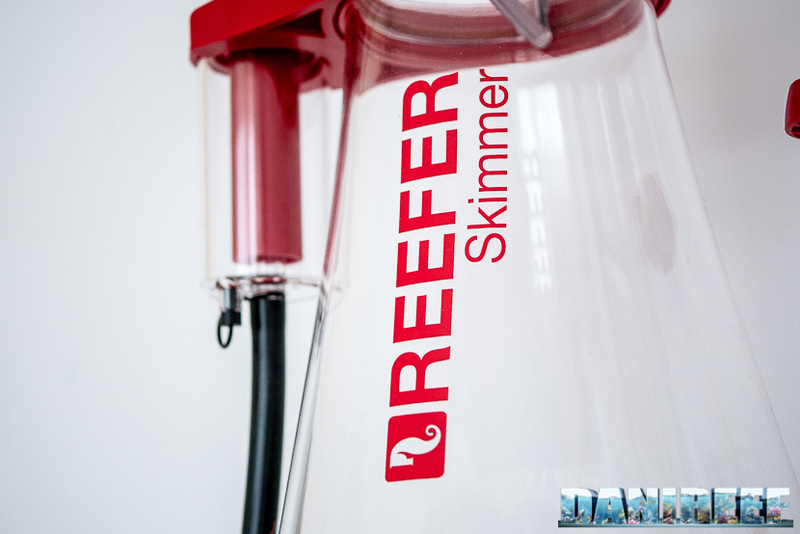 I have to say that the skimmer impressed me for construction care and details, and given the fact that it uses the same pump of my old skimmer Vertex Omega 180i (review) I decided to give it a chance to manage my aquarium. The pump I’m referring is the Sicce PSK 1000. From the point of view of the construction I’ve never seen something built better. I’m talking of a spectacular acrylic, and is visible that it’s built in series. It has no flaws. Very beautiful. I’m not lying. It’s been built just to prevent us from doing maintenance, sure you need to, but it’s almost no maintenance at all. 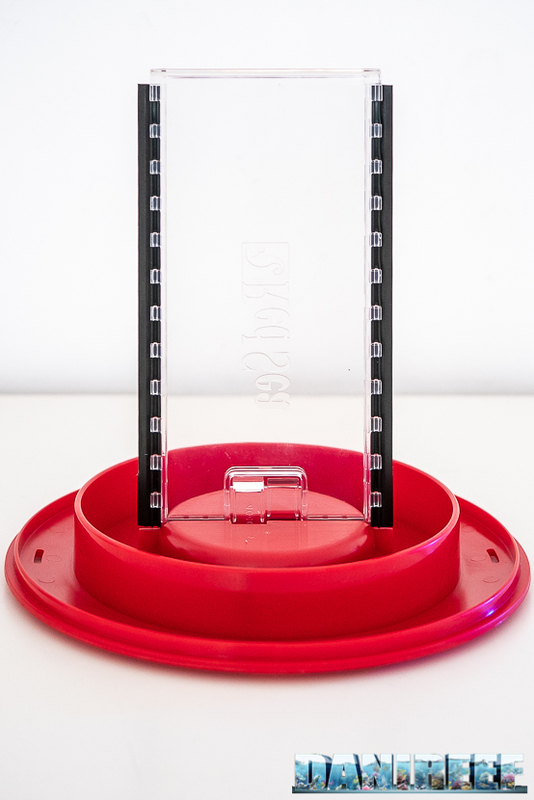 Above you see that the lid of the glass mounts two standard brushes. 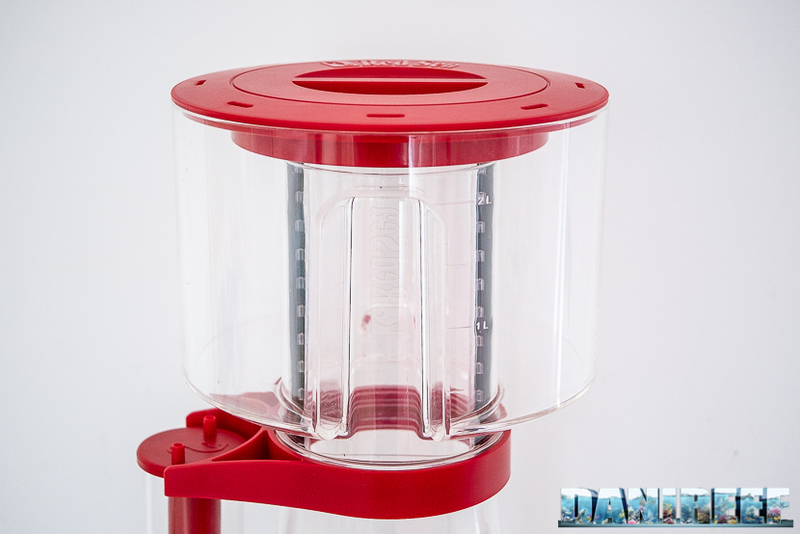 So if you turn the lid, it perfectly cleans the neck inside the glass, keeping the skimmer in perfect efficiency, day after day. But that’s not the end, in fact the glass has a break-in that allows to see the quality of the foam, because in this part the skimming doesn’t accumulate. I don’t remember seeing something like this before, it’s very useful. But all of this wouldn’t do anything if we would have to take the glass out to empty it. 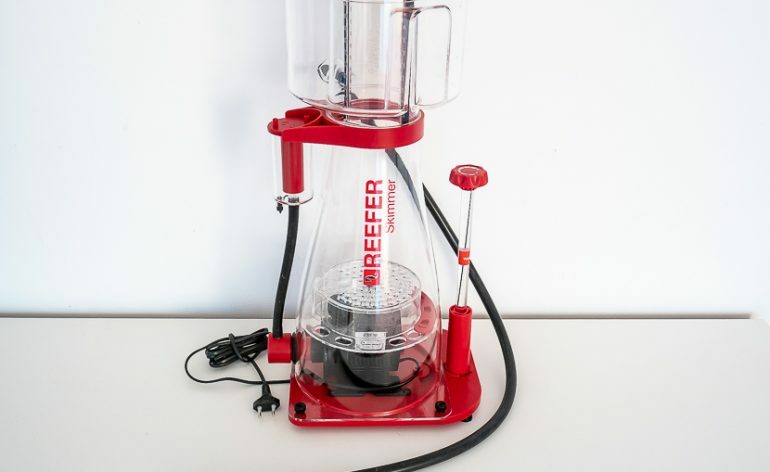 The skimmer has a hose with a sink at the extremity, so that you can put in to an external cup so you can easily empty it. To me, is the best thing I can ask to a skimmer. Always efficient and clean, without taking out the glass. I can’t wait to try it. Water level in sump suggested: 18-20 cm. 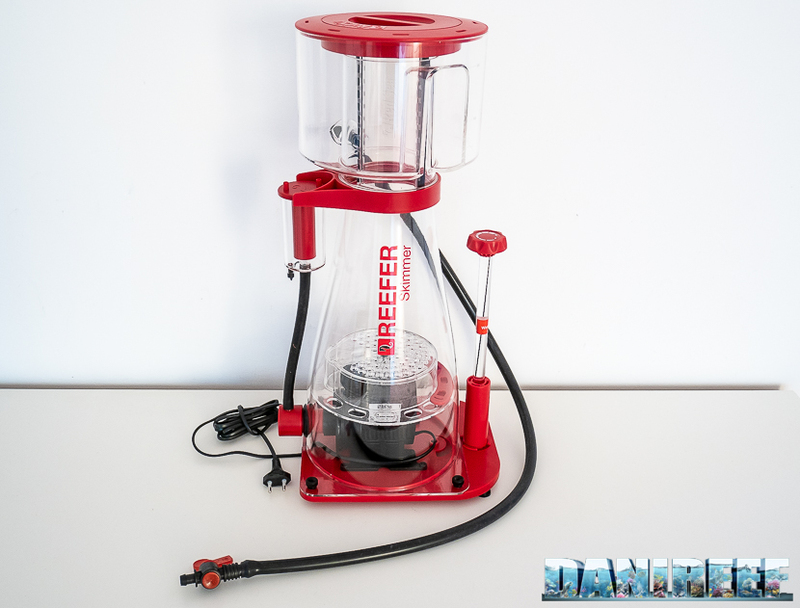 The skimmer has a classic scheme with brush rotor, the pump is inside with low drain. Unluckily this detail doesn’t allow us to measure the level of treated water. There many other thing to say, but we remind you to our review. 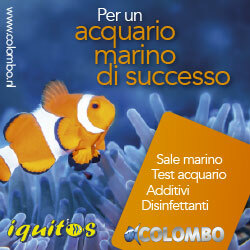 Give us a couple of months to test the skimmer and then we will be back to tell you in depth. By now if you have any questions we’re here for you.